OWN a SMALL BUSINESS AND NEED TO PROVIDE TRAINING? ARE YOU AN HR MANAGER TASKED WITH HANDLING SAFETY? You’re not a safety expert, and that’s okay. We have courses written by safety experts and an easy to use LMS to make your job easier. EHS CoordinatoR IN NEED OF general awareness training? If you know safety, you’ll recognize the quality of our safety courses and appreciate the features that make training and reporting hassle-free. DO YOU oversee Safety for MULTIPLE LOCATIONS? eSafety provides a cohesive, easy to use platform with multi-level administration and all the reporting and training features your organization needs. 100% web-based training with simple navigation and 24/7 user access. Reduce your training cost with unlimited access to training courses. 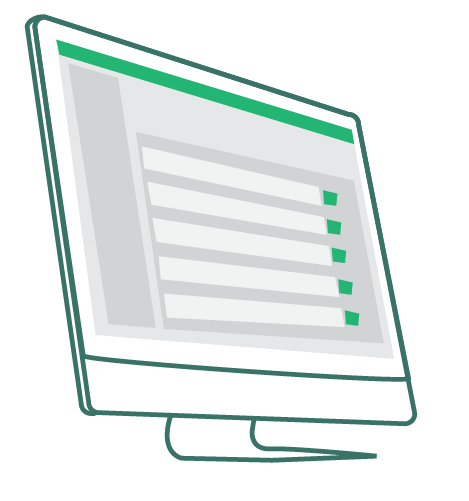 Upload custom training documents and test questions with personalized training settings. Course compliance with applicable regulations and easy-to-retrieve training records. Written by experienced professionals with multiple learning styles in mind. Full technical support for administrators, personalized and on a first name basis.